We take two things seriously at Ringwood Brewery- our ale and our leisure time. Along with creating quality craft ales, we are relaxation enthusiasts. Our motto is “Visit the Winding Downs”- a place to enjoy some quality time with friends. Ringwood will be producing a limited edition festival ale that will be available at the event, keep an eye on our social media and news page for the ale naming competition! Exton Park Vineyard is an award-winning English Sparkling Wine producer located in Hampshire’s South Downs National Park, just outside Winchester. Our 55 acre single-vineyard is planted on pure chalk soils, producing vibrant and mineral wines with a distinctive style and complexity. Our wines have been awarded multiple Gold Medals and are listed in some of the top restaurants around the UK. As a single-estate producer, we control the entire winemaking process; from growing all of our own fruit through to vinifying and bottling the wine. The wines are vinified plot by plot, with a certain amount being held back in reserve each year, to guarantee the consistency of the award-winning Non-Vintage cuvees. From time to time, Exton Park will also release ‘Special Cuvees’, such as the unique Pinot Meunier Rosé. Exton Park: English excellence from the heart of Hampshire’s chalk downs. We are Dorset’s first gin distillery, opening our distillery doors in Bournemouth back in April 2015. We believe in genuine craft, quality-focused, innovative spirits. Today you’ll find a team of 8 Conkerers handcrafting our award-winning spirits in tiny batches, without the shortcuts. We are the real deal – the distillers, bottlers and botanical foragers – handpicking gorse flowers from the clifftops of Bournemouth for our bright & refreshing Dorset Dry Gin. Conker Cold Brew Coffee liqueur is a dedication to the coffee lover – no imitation, simply Grade 1 forest-grown Speciality coffees from Brazil and Ethiopia. Our RNLI Navy Strength Gin is distilled in honour of the RNLI. We raise a glass to the courageous men and women who have worked selflessly over two centuries to end preventable loss of life at sea. For every bottle you enjoy, gift or squirrel away, we give £5 to the RNLI. Fisher & Paykel has been designing some of the best kitchen appliances and cooking equipment since 1934. Their design heritage is founded on a pioneering spirit and a culture of curiosity that has challenged conventional appliance design to consistently deliver products tailored to human needs. Freestyle is an energetic team of hard working techies with the creative flair to produce something special just for you. They’re not afraid to challenge traditional thinking and are more than happy to be outside the box. As their name suggests, they perform for clients in an unimprovised and unrestricted fashion. They listen to their clients so they can quickly get to grips with what they need and not only provide a creative, dynamic web solution that suits them, but it will be on time and on budget. 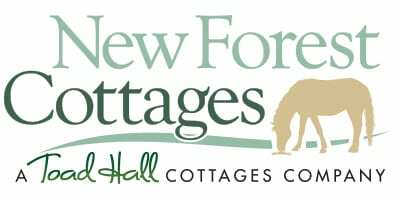 As the oldest and the largest holiday cottage letting agency in the New Forest trading for 39 years, with over a hundred amazing properties they are certain you will find the perfect place to stay. Whether you’re looking for a week or two away with the family or simply want a romantic weekend break, we have properties ranging from cosy cottages and woodland retreats to modern apartments and town houses, so there’s something to suit everyone. If you’re from out of town, why not make a long weekend of it and get in touch with New Forest Cottages? Chewton Glen is a luxury country house hotel and spa located on the edge of the historic New Forest National Park and within easy reach of Christchurch, Bournemouth and Southampton. Newly launched, The Kitchen is a purpose built cookery school and dining complex for enjoying and learning about food and cooking. Working in association with celebrity chef and Chewton Glen alumnus James Martin, the cookery school will be headed-up by Chef Tutor, Rob Cottam. James and Rob have formulated a rolling roster of bespoke and stimulating courses and demonstrations that will inspire, inform, educate and most importantly provide a culinary experience that is packed full of fun and enjoyment. Classes will be hosted by Rob and visiting guest and celebrity chefs, including Tom Kerridge, Atul Kochhar, Richard Corrigan, Dan Doherty, and, of course, James Martin himself. 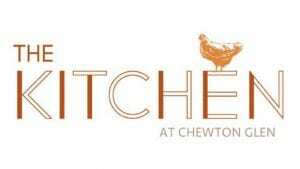 In addition to the cookery school, The Kitchen also features a 40-seater informal restaurant, overseen by Chewton Glen Executive Head Chef Luke Matthews and The Kitchen Head Chef Adam Hart. At lunchtime you can watch what’s going on in the cookery school and maybe catch a glimpse of a visiting celebrity chef. The open-plan kitchen with a pizza oven offers a birds eye view of your meal being created, there’s a chef’s table for private dining and celebrations, an informal lounge, an outside seating area and private parking. Lymington Harbour and its strong maritime heritage has been at the heart of the Town and its community for hundreds of years. These days, the harbour is one of the most popular leisure boating destinations in the UK, playing a key part in bringing marine tourism to Lymington as well as providing around 650 moorings for local people. Visiting yachts have plenty of choice between harbour moorings at the Town Quay near the high street, the Dan Bran Pontoon close to the Royal Lymington and Lymington Town yachts clubs, or the privately owned Berthon and Yacht Haven marinas with their excellent facilities. The harbour also supports many other marine businesses generating local employment. These include the Wightlink ferry service to the Isle of Wight, dry boat storage, many marine services and boat yards, boat sales, chandleries, river trips, and a small but important fishing fleet that lands its catch at Lymington quay!  You’ll be able to find out more by visiting the Lymington Harbour Commissioners stand at the Seafood Festival.